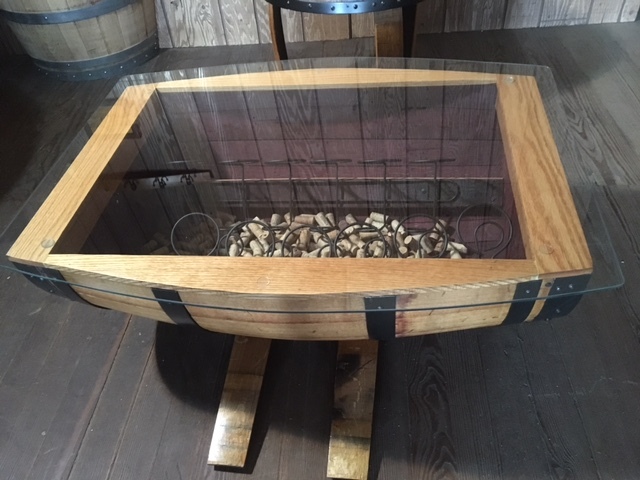 Looking for that unique cocktail table for your tasting room? 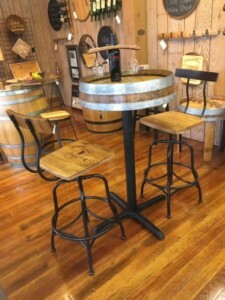 Or team up this table with a pair of bar height stools for that cozy conversation spot. 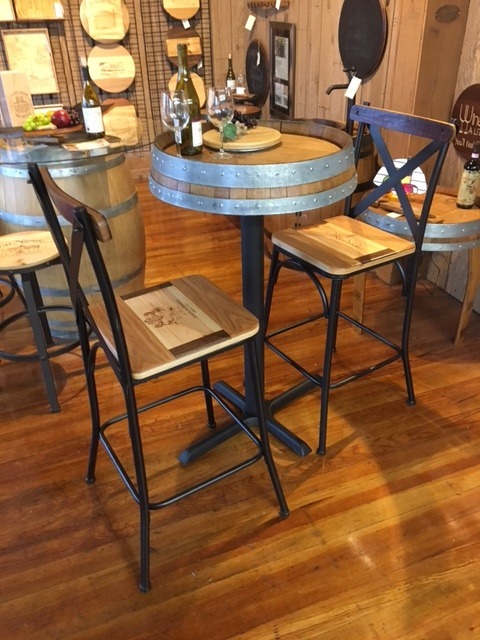 Just the right size for your favorite bottle, a pair of glasses and some appetizers. 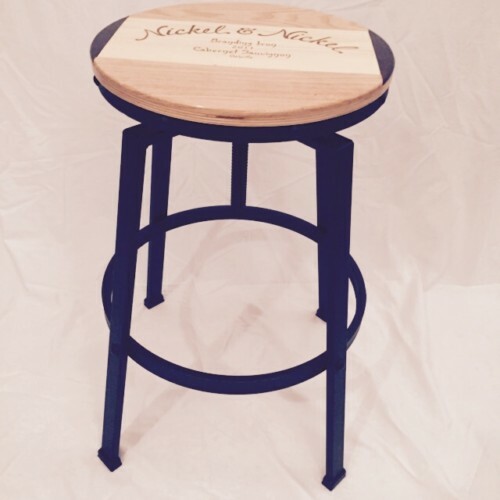 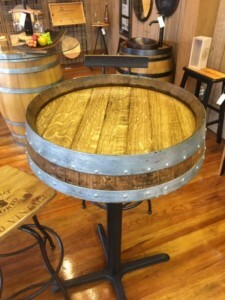 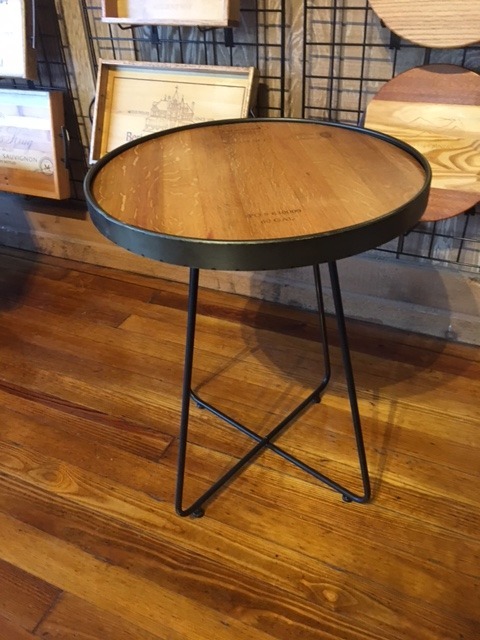 This 26″ wide Bar Height Bistro table features an actual wine barrel end top from a Napa winery with two steel wine barrel bands and a black metal pedestal.